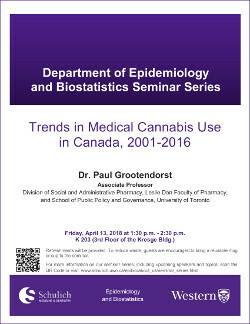 "Trends in Medical Cannabis Use in Canada, 2001-2016"
Refreshments will be provided. To reduce waste, guests are encouraged to bring a reusable mug or cup to the seminar. All are welcome.